See how innovation plays a key role in the creation of our made-to-measure menswear. Combined with the classic art of tailoring, technology is an integral part of the client experience at Surmesur. 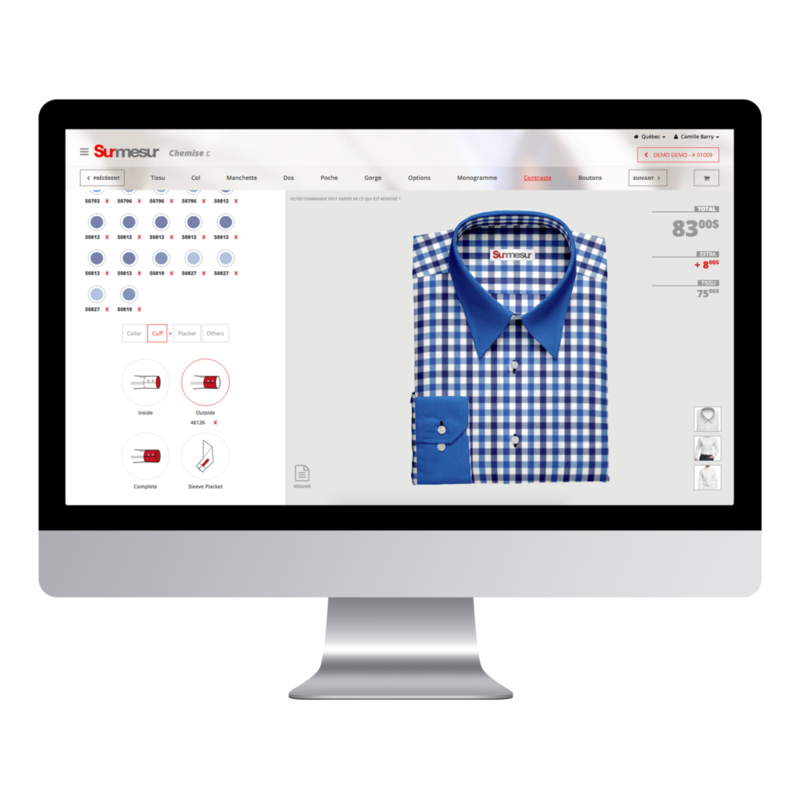 In autumn 2015, we launched a brand new software program that lets you see your suits or shirts during the creation process. This program, called the Studio, also allows us to centralize our entire database, giving us access to your buying history and measurements in all of our stores, including our online store. This innovation gives you the power to create, see and order a made-to-measure suit or shirt online. To make the most of your shopping experience, we have also installed giant tactile screens in each of our stores that allow you to draw plenty of inspiration as your Style Consultant helps pinpoint your tastes and preferences using our impressive image bank, which contains every look imaginable. 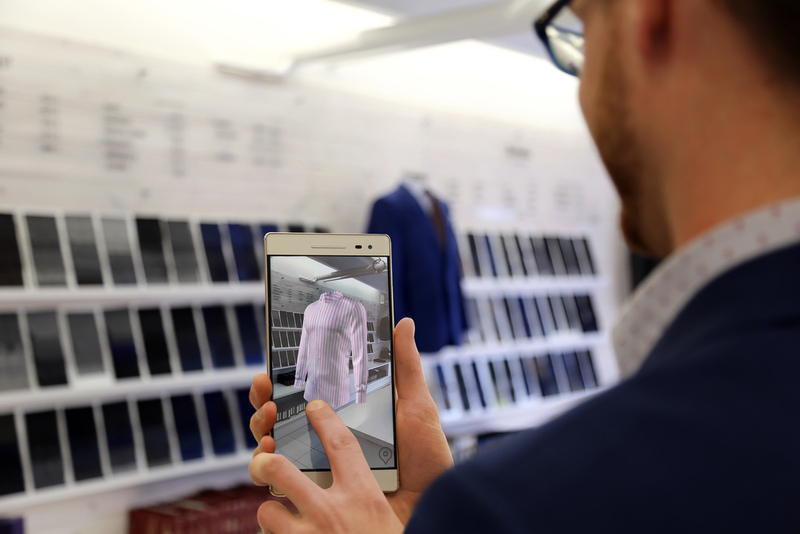 As part of our vision to become the North American reference in made-to-measure menswear, Surmesur has revolutionized the retail experience by taking augmented reality further than any retailer has gone before. Thanks to Google’s Tango technology and our own proprietary Studio software, you can now design your own shirts from collar to cuffs and see the results in an interactive, three-dimensional, augmented-reality environment. A handheld device gives you the power to examine your garment from any angle, zoom in or out to view every last detail, and see the changes you make to your creation in real time. The experience is now available in all of our stores in Canada and the U.S., and the 3D viewing component has also been integrated into our website for clients who want to shop from home or the office. Welcome to the future!